Is the Colombian military spying on the Colombian government? I bet you’ve read about Argentina in the news lately. Argentina is a big deal. But did you know that Colombia has a larger population than Argentina? Did you know that Colombia’s GDP rivals that of Argentina? And some argue that, recalibrating for Argentine inflation, Colombian GDP could in fact be greater. The future could be bright for Colombia. Colombia could be a rising star in Latin America. There is a lot of could in Colombia. If only they could stop fighting each other. It is the persistent civil conflict (not profligate or inept governance) that holds Colombia back. If the country could achieve a lasting peace, the sky is the limit. 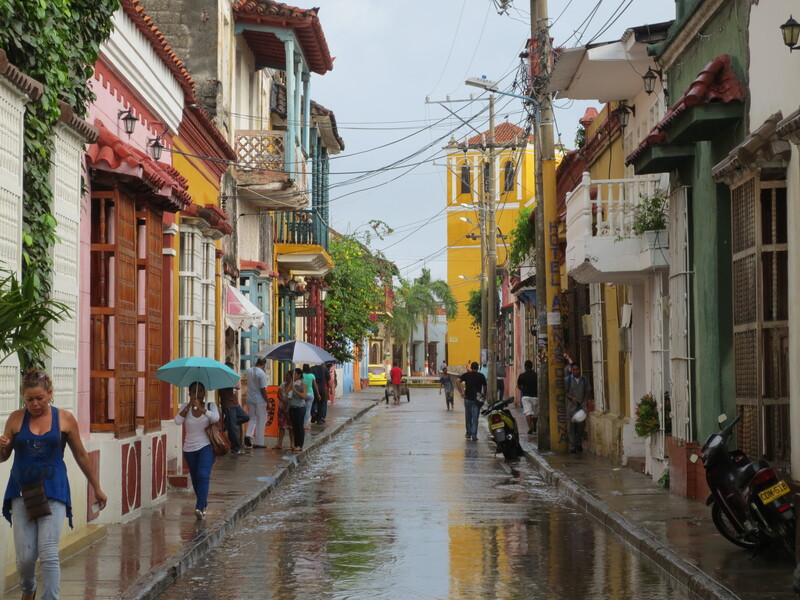 That is why progress in the Havana peace dialogues has been so encouraging—and an issue this blog has followed closely. The stakes are high. And with much of the talks kept secret, intrigue surrounds the dialogues, always threatening to derail the process. Even trifling, non-related events can rock the peace boat. Sources have accused the Colombian military of spying on the Havana peace talks. On February 3, the Colombian weekly Semana published a story stemming from a 15-month investigation. The bombshell report alleges that in an undisclosed location in Bogotá, there is an indescript facility doubling as a restaurant and computer education center. An odd combination to be sure—but one that did not seem to draw too much suspicion. According to Semana, however, a third project was going on in this building: the Colombian military was running a sophisticated espionage operation. Under the code name Andromeda, agents of the Central Army Technical Intelligence—a fundamental element of DINTE (Colombia’s intelligence program)—conducted illegal wiretaps and hacking of emails of participants in the peace dialogues. Blackberrys, WhatsApp conversations, emails—they were all supposedly intercepted by this technologically proficient operation. Here is the catch: the military was not spying on behalf of the government. According to the allegations, the military was spying on the government. And the rebels. And anyone who might have been in the room. 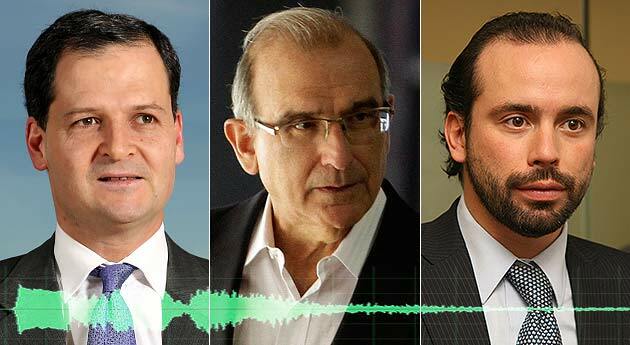 According to the report, Chief Negotiator Humberto de la Calle, a former Vice President, was spied on. Sergio Jaramillo, High Commissioner for Peace, was spied on. Alejandro Éder, director of the Agencia Colombiana para la Reintegración was spied on. So who ordered the spying? And if the Santos government does not have control over the military, who does? Some back of the envelope calculations suggests that this issue could be a tinderbox. The last two Colombian presidents have, of course, taken very different strategies towards achieving peace. Álvaro Uribe (2002 – 2010) fought the FARC head on with a brutal military confrontation that severely weakened the guerilla’s strength and influence. Current President Juan Manuel Santos has attempted to capitalize off this FARC weakness by securing a peace. Uribe has been a bitter critic of Santos’ approach, arguing that the extension of an olive branch was unnecessary. 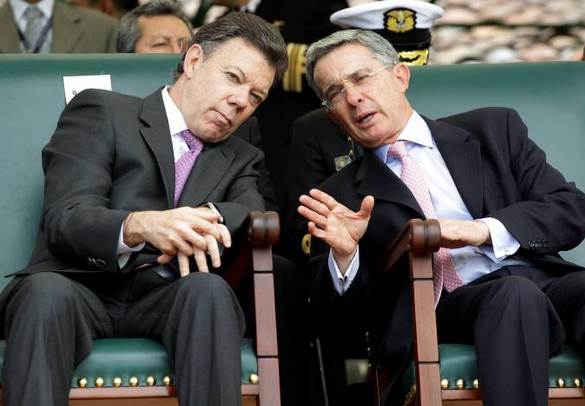 After all, Uribe would argue, the Colombian military had the FARC on the ropes. Why let them off? One imagines that elements of the military felt the same way. Santos is preparing for a reelection bid in May, where he is favored to defeat Óscar Iván Zuluaga, a challenger supported by Uribe. In some ways, however, the election could be viewed as a referendum of Santos’ management of the peace process. Could Uribe be behind the spying? To be clear, no evidence has tied the ex-president to the Semana allegations. FARC representatives rapidly forwarded this hypothesis. 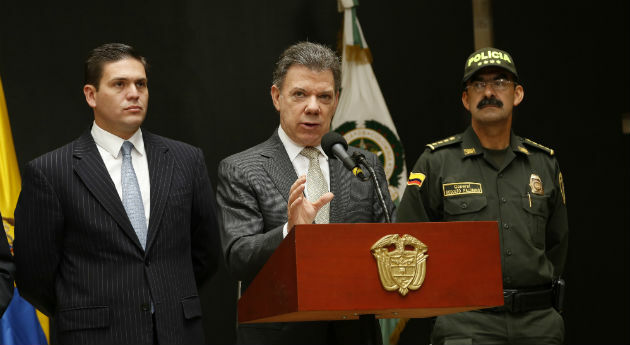 President Santos originally referred to the “chuzados” as “fuerzas oscuras.” America’s Quarterly reports that General Mauricio Zúñiga, chief of army intelligence, and General Jorge Andres Zuluaga, director of the army’s national intelligence center, were dismissed from their positions. But the negotiations are now engulfed in speculation. Today, just 24 hours after the “fuerzeas oscuras” comment, Santos did an about-face, now claiming that perhaps there was nothing illegitimate about the spying at all. Now it seems that no one knows what is going on, and everyone has a suspicion. That is not a good prescription for a successful peace dialogue. Perhaps more importantly, both sides could lose faith in the process. The bottom line is that for the peace process to succeed, the Colombian right and the Colombian military must make way for the left to enter the political sphere. This may not be easy, but it is true. Meanwhile, the Colombian left must feel that the invitation to join the democratic sphere is legitimate. They have been fooled in the past. In the 1980s, leftist factions formed the Unión Patriótica—a political party that was to serve as the guerillas’ segue into democracy. Its members, however, were slaughtered one by one in an endless series of targeted hits. This ominous motif reappeared in recent weeks as leftist politicians Iván Cepeda and Gustavo Petro received death threats. Does the military wish to disrupt the peace process? Can peace exist without the military’s support? This is an acid-test for the current iteration of the Colombian peace process. If it can fight through this drama, perhaps it really has a chance to succeed. If it cannot, the fighting will continue not in Havana but in the sweeping landscape of Colombia. This entry was posted in Andean Region, Caribbean and tagged Alejandro Éder, Colombia Chuzado, colombia peace process, colombia spying, Havana peace talks, Humberto de la Calle, Santos chuzado, Sergio Jaramillo, uribe military, uribe spying. Bookmark the permalink.